kt literary » Blog Archive » Congrats to SOMEONE! The ever-popular Perkins (Isla and the Happily Ever After, 2014) takes a sharp turn out of YA romance in her latest offering, a clever—and, to fans, no doubt surprising—foray into the teen slasher genre. When Makani Young moved from her native Hawaii to her grandmother’s house in Nebraska, she thought her biggest concerns would be fitting in, putting her troubled past behind her, and navigating her attraction to a mysterious boy. She didn’t expect the students at Osborne High to start dying as murder after seemingly unconnected murder shocks the small town. And Makani certainly never expected herself to be targeted by the killer. Perkins deftly builds the suspense like a pro: an uneasy opening leads to some legitimately horrifying murders, and the identity of the killer isn’t quite as important as the motivation. Diverse characters, including a transgender boy, are folded into the tale. This is the same reliable formula that spawned the Scream franchise, and Perkins wields it to great effect: readers will be sleeping with one eye open. HIGH-DEMAND BACKSTORY: This is a new direction for Perkins, but even fans wary of horror should be sucked in to this addictive read. 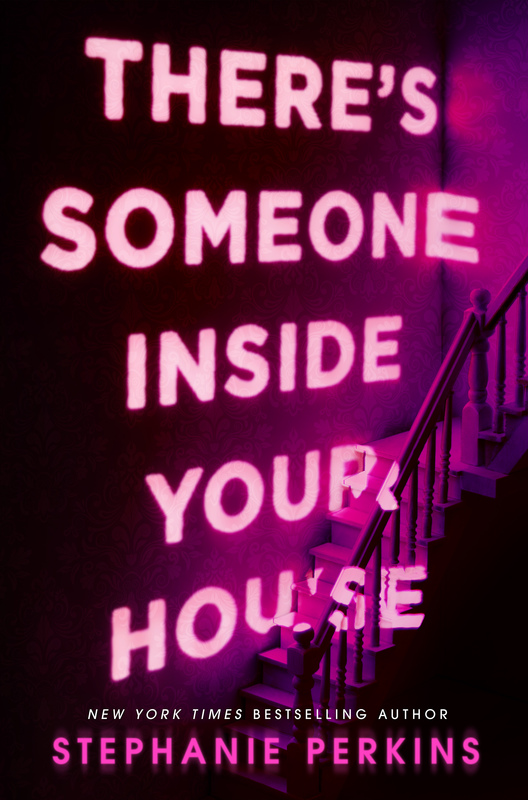 THERE’S SOMEONE INSIDE YOUR HOUSE comes out soon, on September 26th, but you can pre-order a copy now at your local independent bookstore, Stephanie’s local, on Amazon, B&N, or wherever great books are sold! And feel free to to follow Stephanie’s news feed on Twitter. ← Welcome to New Client, Jennifer Honeybourn!